Most items one-of-a-kind - Contact us if you would like more description - Clearance items may contain faults. To order any of these items, or to check availability, just CLICK HERE and we will reply as soon as we can! 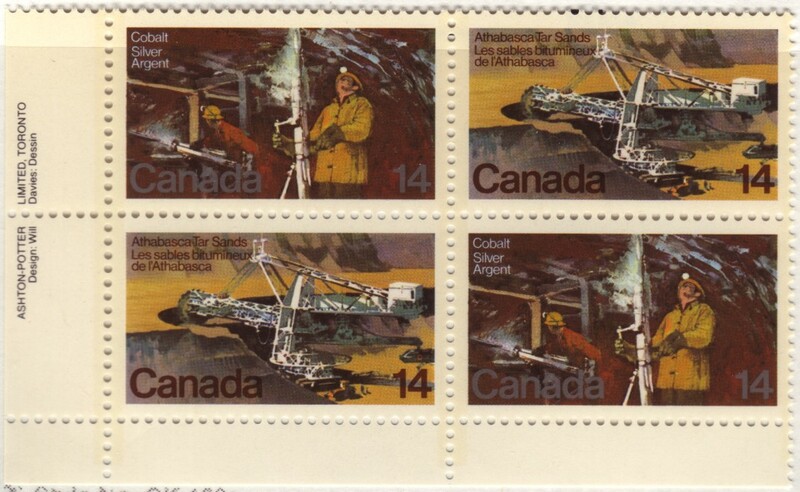 Canada 14 cent Natural Resources Plate block of 4, Mint Never Hinged showing SILVER double print, Unitrade Canada Specialized catalogue #765i. The silver is clearly doubled on CANADA. Unitrade lists these as a se-tenant pair - This is a plate block. 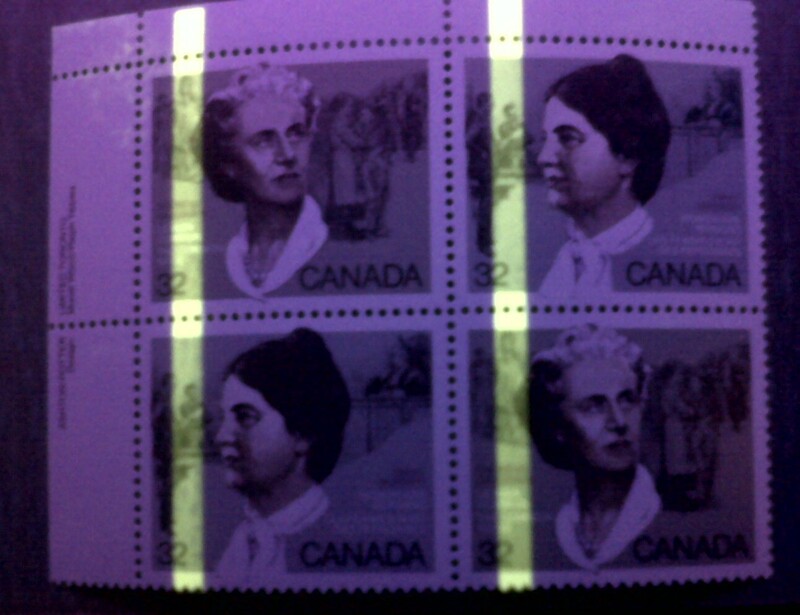 Canada 32 cent Canadian Feminists Plate block of 4, Mint Never Hinged showing major TAG SHIFT - Rose G1a, Unitrade Canada Specialized catalogue #1048a. 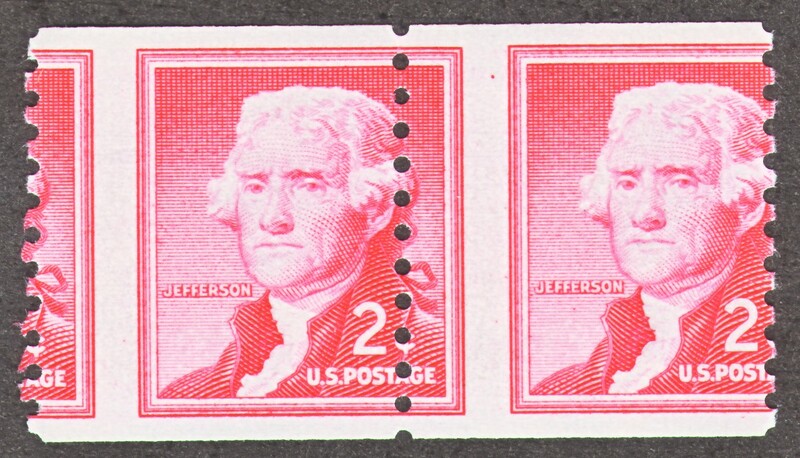 The tagging on this plate block has shifted to the right so that it runs directly over the 2 in the 32 cent value, causing a single bar tag on the stamps.Unitrade comments on these stamps, which are from the left side of a pane of untagged stamps. Brazil Airmail SC#C95 missing partial background - MNH - Brazil airmail SCOTT #C95 with part of the background missing, with regular to show the difference. 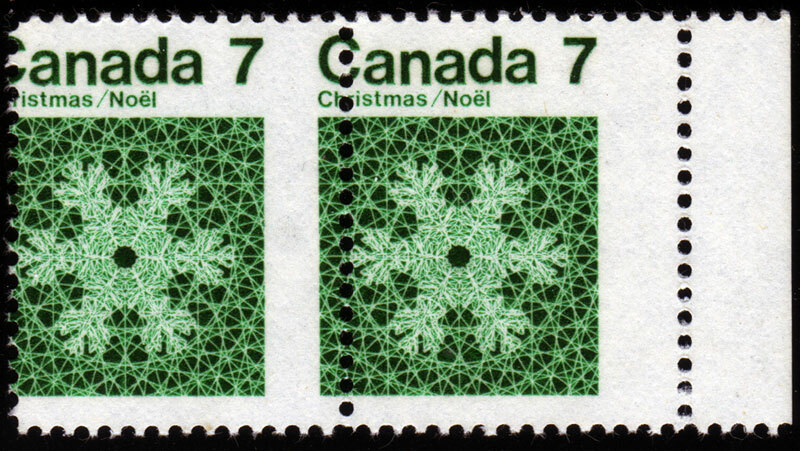 Perorations on this stamp are almost perfectly centered between the upper and lower stamp. Canada 17 cent Parliament Plate block of 4, Mint Never Hinged showing major TAG SHIFT - Rose G1aC, Unitrade Canada Specialized catalogue #790. 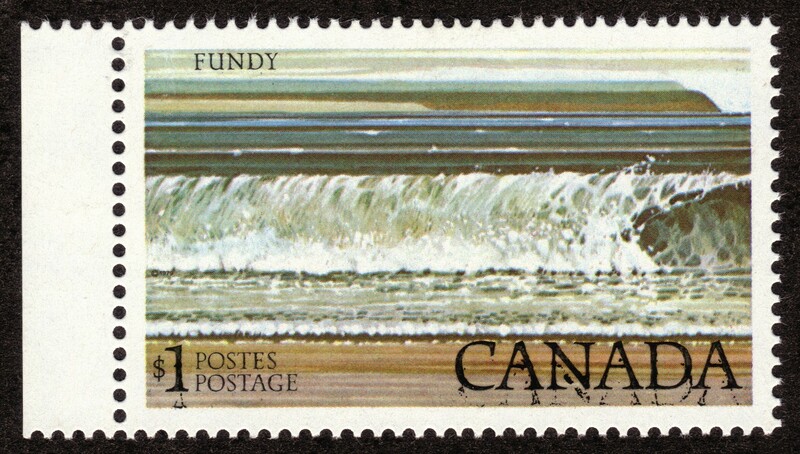 Canada $1.00 Fundy corner block of 4, Mint Never Hinged showing an albino doubling of the CANADA imprint, Unitrade Canada Specialized catalogue #726ii. 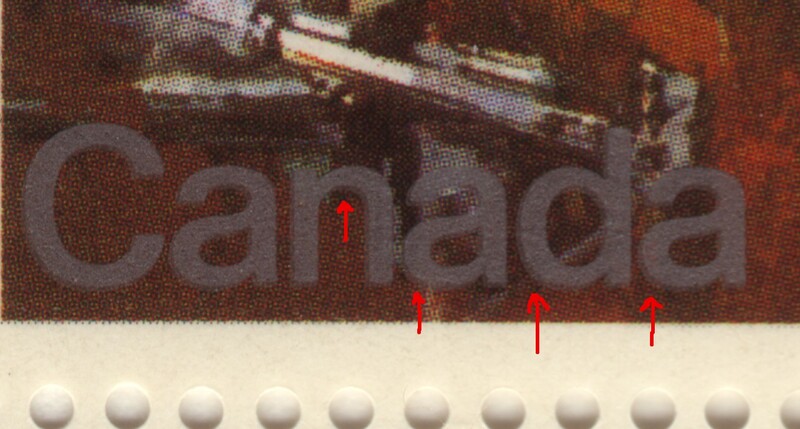 With the reverse embossing, you can easily see that not only has the black imprint shifted well to the right from the raised lettering, but the red circles show the visible doubling of the lettering where the kiss print has occurred. 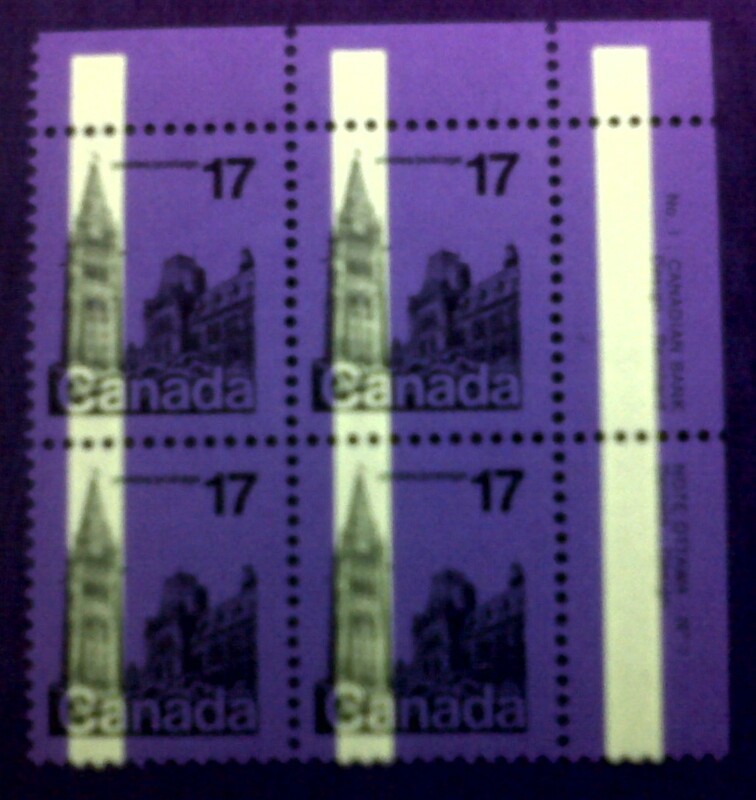 Unitrade lists #726ii as blank corner block of 4 at $1,750.00 CDN. Here is a chance to own one of the tougher modern rarities at under 1/2 catalogue. If you have questions about this lot ..........PLEASE ASK! There are several errors noted on this sheet, but this is unlisted, as far as I can find. This will be shipped open, with the original Post Office card and packaging. 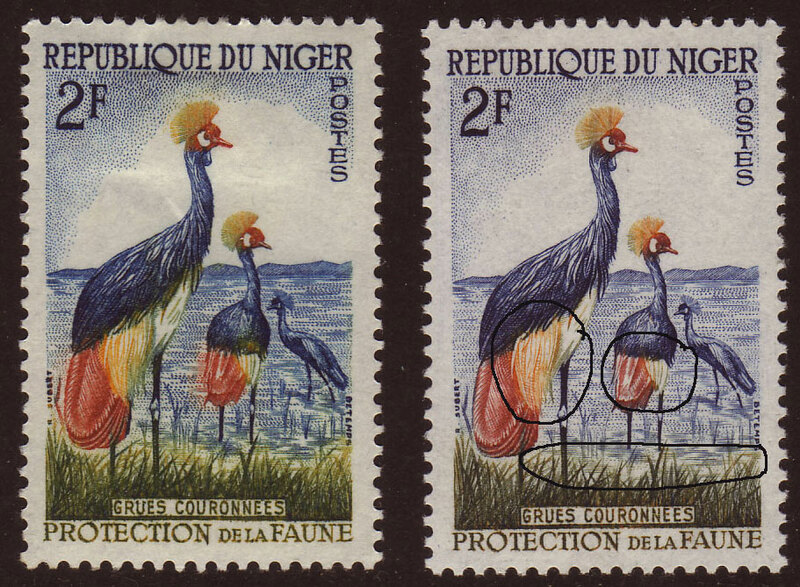 Republique du Niger 1F, SC#91 with missing colour. 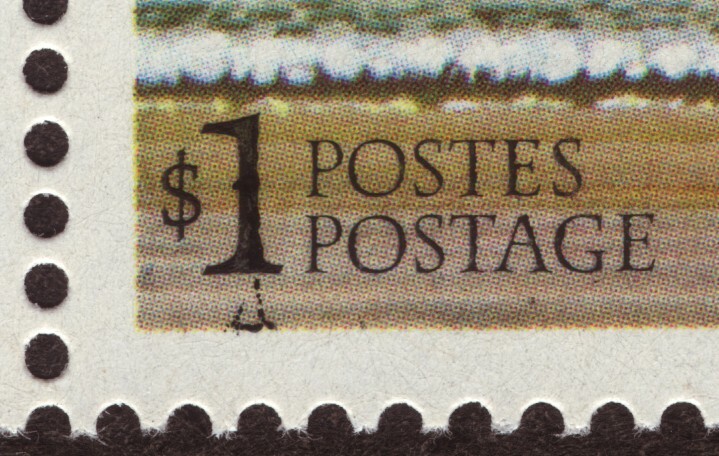 The black circles will show the more noticeable YELLOW missing areas from the stamp (pictured with normal). The stamp is Yvert #97, Michel #1 mint, never hinged and appears to be an unlisted FRENCH COLONIES error. 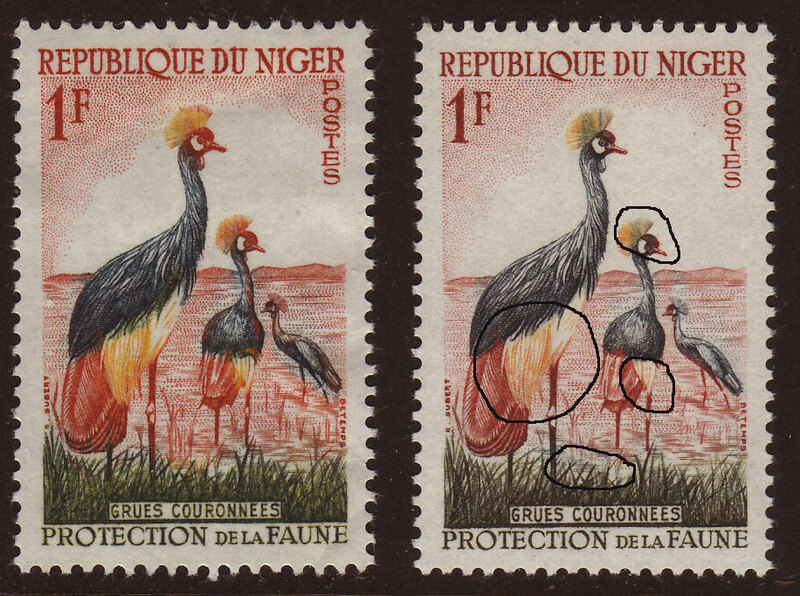 Republique du Niger 2F, SC#92 with missing colour. 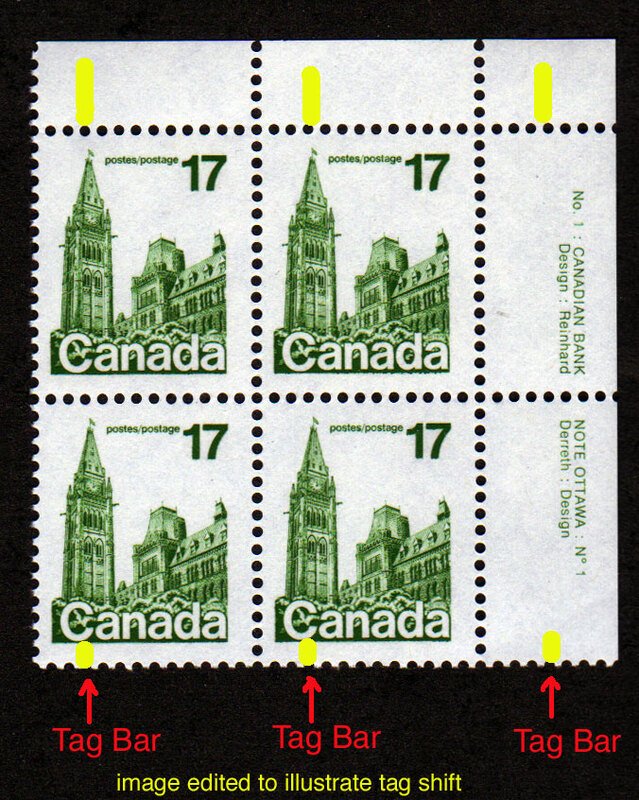 The black circles will show the more noticeable YELLOW/Light GREEN missing areas from the stamp (pictured with normal). 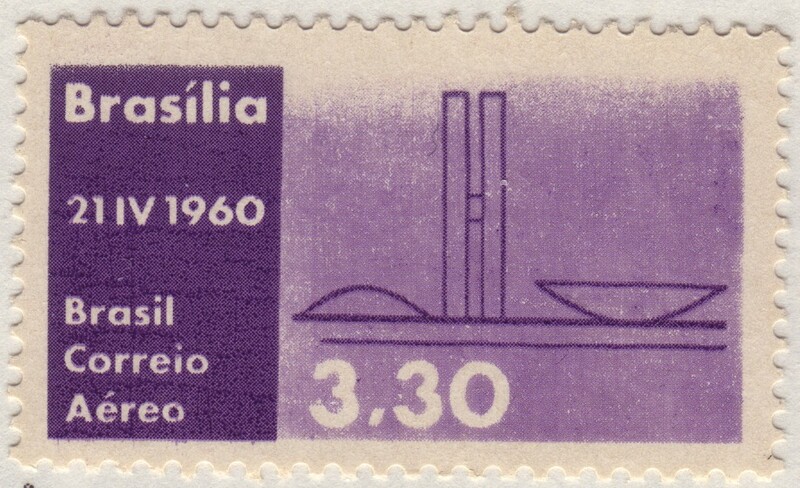 Even the lettering at the bottom of the stamp shows the colour variation. 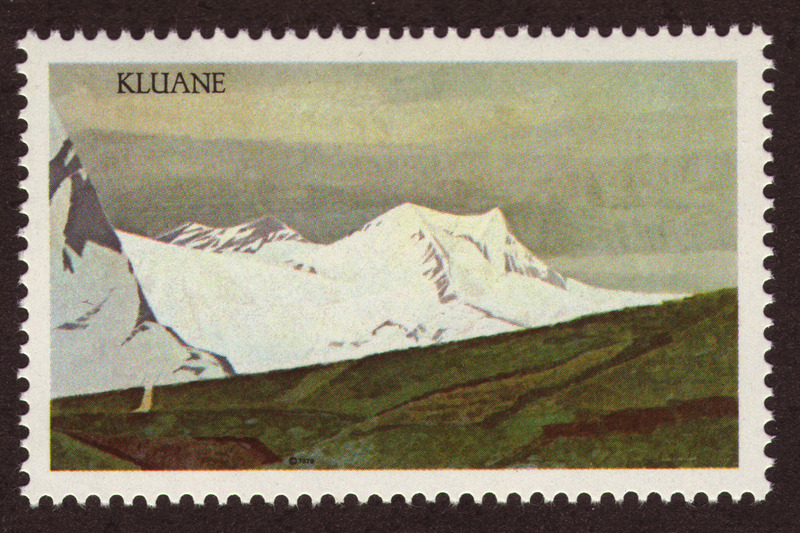 The stamp is Yvert #98, Michel #2 mint, never hinged and appears to be an unlisted FRENCH COLONIES error. 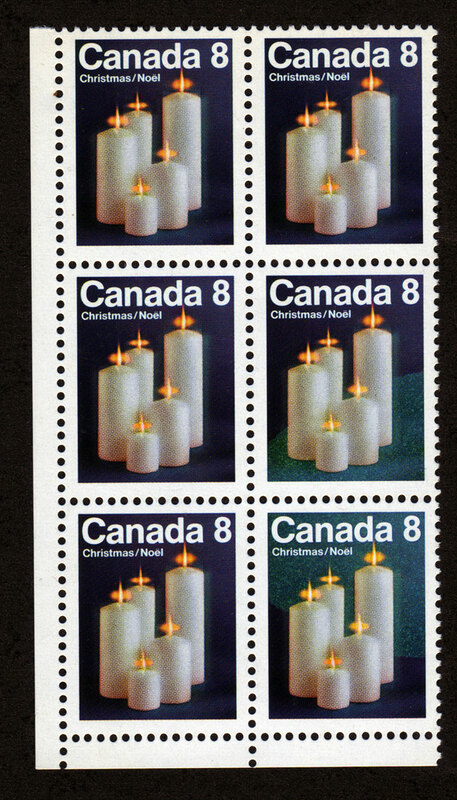 1972 8c Christmas MISSING RED due to REPELLEX ERROR on lower 2 stamps in LL blank corner block of 6 (70% to 20% Missing) Candle Flame is yellow instead of Orange & background is Light Blue instead of Violet. Mint, Very Fine, Never Hinged. 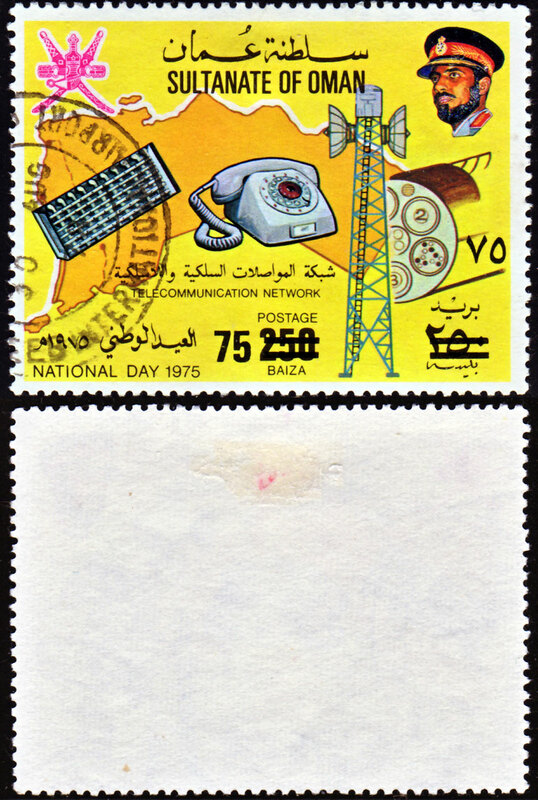 Sultanate of Oman 75b on 250b surcharge, SC#190C with August 30/78 CDS from 1978 overprint set. The back of the stamp shows hinge remnant (red spot on hinge) as well as a small hinge remnant to the right of the spot. That does not appear to be damage to the paper, simply another remnant. 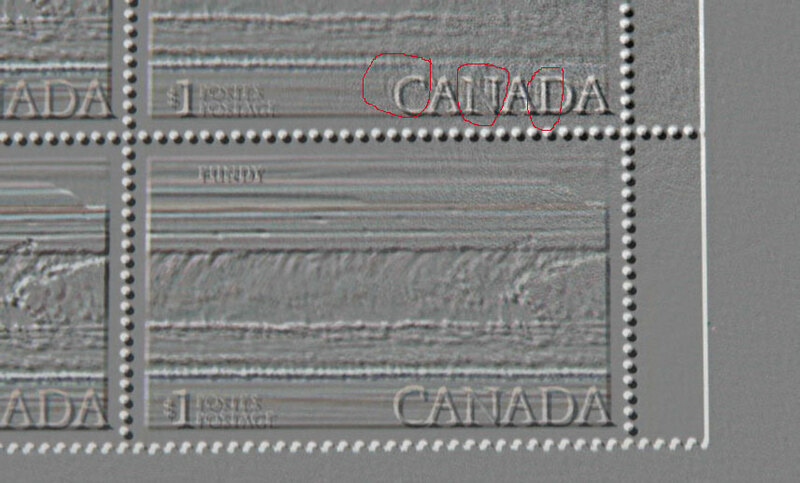 For the record, there is also a natural paper inclusion lower left and one perf shows a wrinkle. 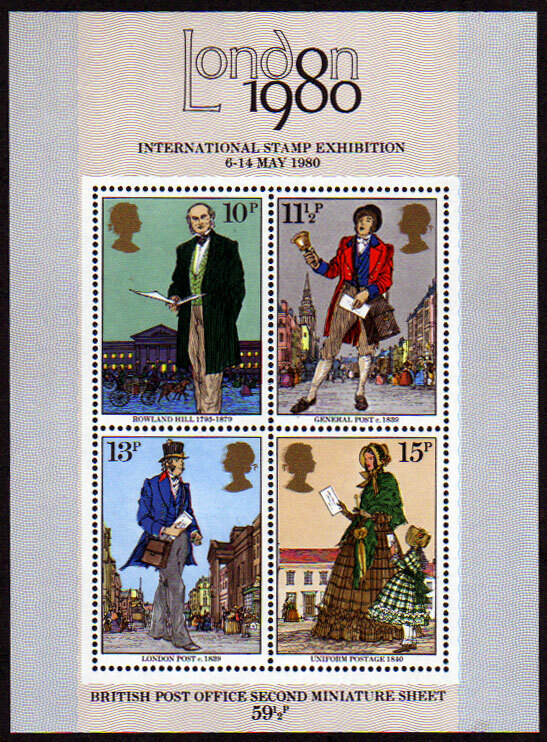 Scott lists this stamp at $2,250.00 USD. 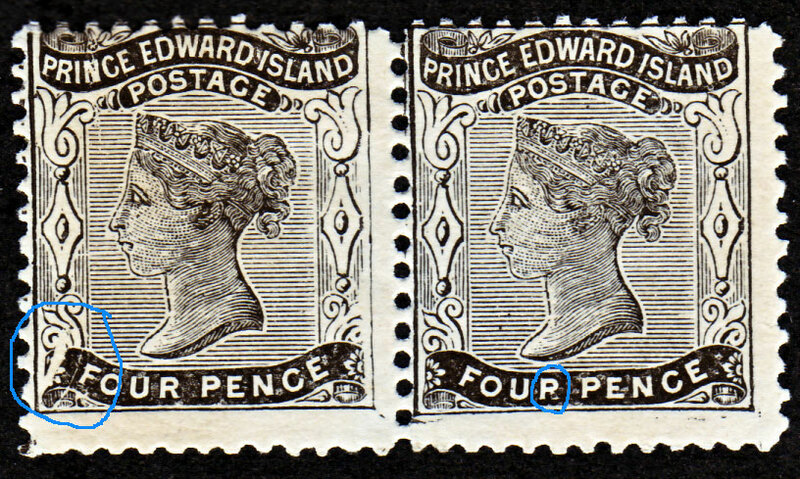 Prince Edward Island pair of Mint Queen Victoria 4d black on yellowish paper, mint with listed and unlisted plate flaws. Column 3 row 4 and column 4 row 4 both have constant plate varieties with the left stamp having the break in the lower value scroll, as well as, the break in the upper shading lines in front of the Queens forehead. 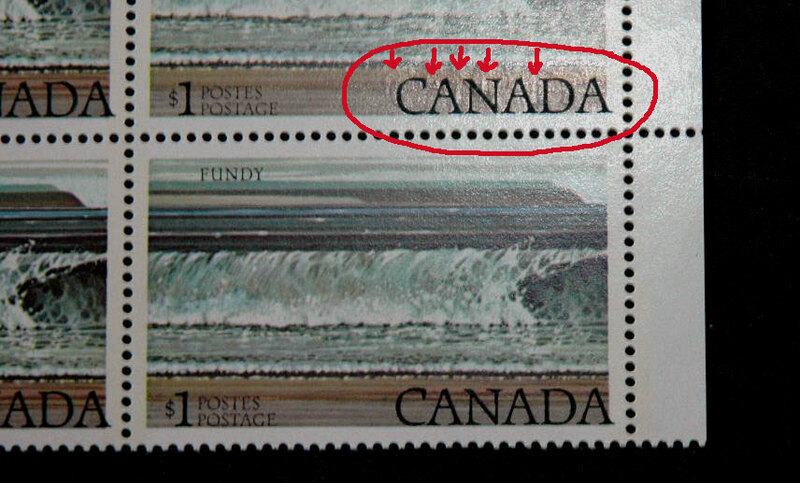 The right stamp has Unitrade #9v, the "FOUP" variety (the large colour spot in the leg of the "R" of FOUR). 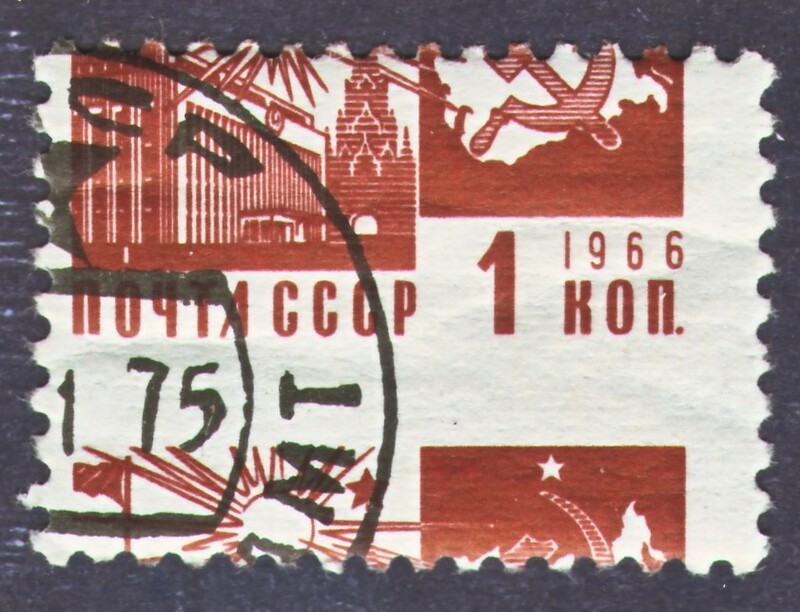 There is also the joined frame line between the two stamps. 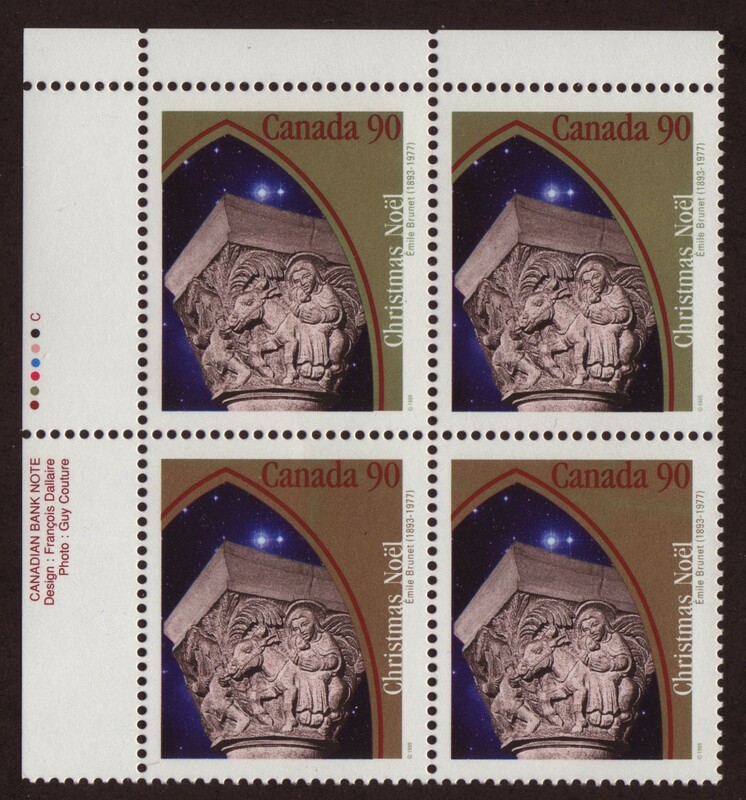 These are confirmed in the Firby auction, March 26th 2005, The Martyn Cusworth Colonial Prince Edward Island Stamps and Postal History auction, in which full and part panes were sold. The gum on these is toned in a few spots. 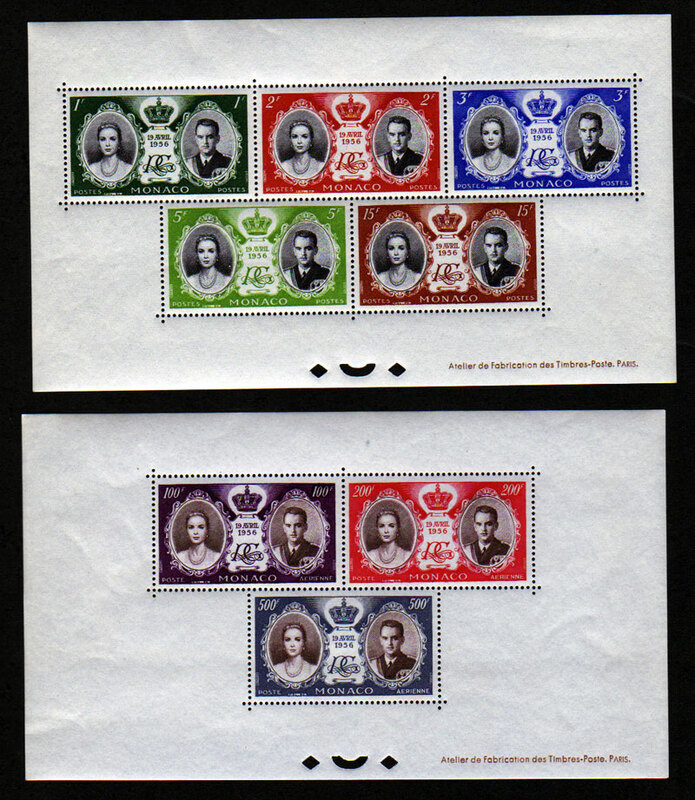 1956 MONACO ROYAL WEDDING DELUXE PROOF SOUVENIR SHEETS; Two 'epreuves de luxe', one for regular issue stamps #366-70 and one for Airmails #C46-48. Perforated and gummed, each Mint Never Hinged. Some minor wrinkles, still very fine. Referenced in Michel and Yvert catalogues at well over €500 for the pair of sheets.